I was lucky enough this year to have the opportunity to make two quilts for display at Spring Quilt Market. 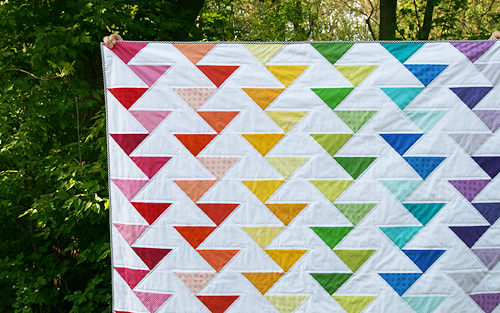 I designed the first quilt to showcase Free Spirits Essentials line. You may remember this fabric photo? Well that stack of fabric became this quilt. 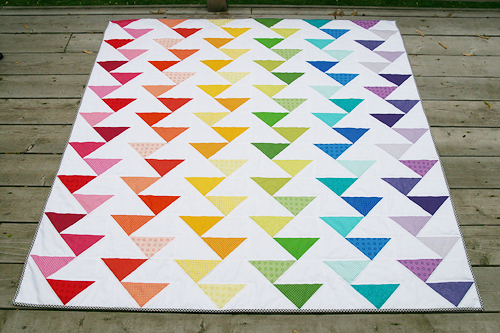 The Cutting Edge quilt is made up of six columns of staggered flying geese, each displaying various shades and prints of one of the colors in the rainbow. 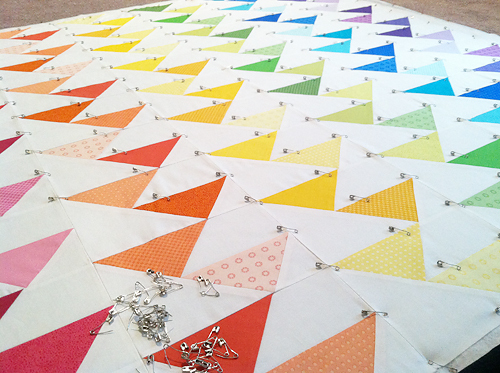 I created a paper piecing template for this quilt so everything would match up perfectly. 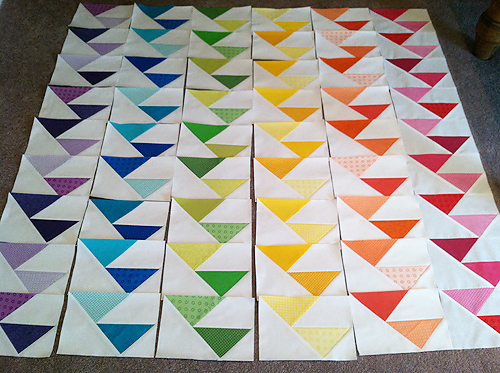 I never thought I'd say it, but I do love paper piecing! The quilting is straight lines which echo the flying geese. The turning of the quilt at the points was kind of a pain, but worth the effort. 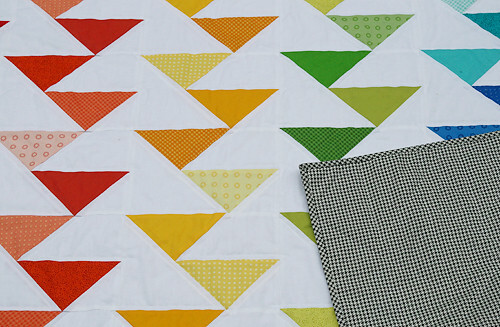 The quilt measure 54" x 54" and the backing and binding is a black and white Houndstooth.